Thursday, 31 January 2019, Metropolitan Vladimir of Chisinau and all Moldova participated in the ceremony on the 10th anniversary of His Beatitude Kirill service as Patriarch of Moscow and all Russia. 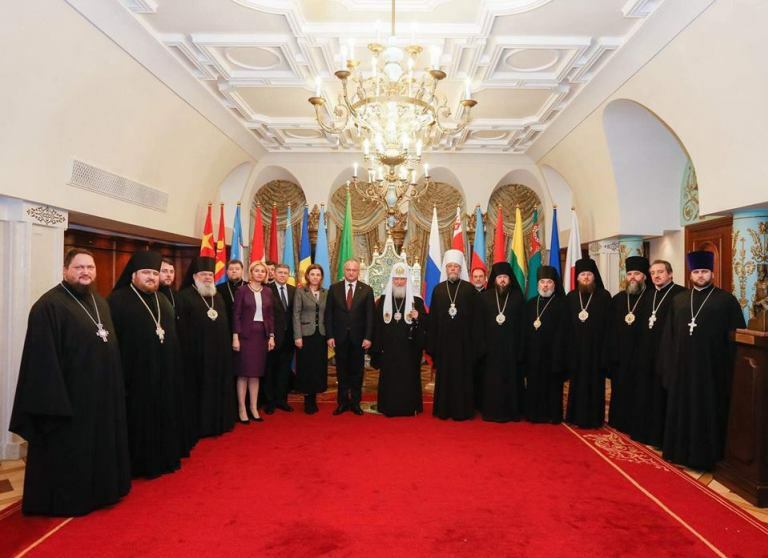 Participants of the event included President of Russian Federation, Vladimir Putin, President of the Republic of Moldova, Igor Dodon, representatives of top administration of the Russian Federation, hierarchs and clergy of the Russian Orthodox Church, numerous foreign guests. The ceremony was held in Kremlin State Palace. Metropolitan Vladimir addressed cordial congratulations to Patriarch Kirlll on behalf of the right-faithful people of Moldova.